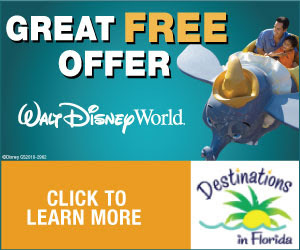 Do you plan on visiting the Walt Disney World Resort during the upcoming holidays? Well you'll certainly have much to choose from in the holiday meal department. Take a look below, and don't let your tummy grumble too much! There are so many great selections, I'm confident that you will find something that even the most finicky eater in your party will enjoy. At Disney’s Animal Kingdom Theme Park, Tusker House Restaurant is offering lunch and dinner feasts. At Disney’s Hollywood Studios, both 50’s Prime Time Café and Hollywood & Vine will include traditional Thanksgiving fare for lunch and dinner. Epcot World Showcase restaurants include Akershus Royal Banquet Hall in Norway, Biergarten Restaurant in Germany, Le Cellier Steakhouse in Canada and Rose & Crown Pub & Dining Room in the United Kingdom has a Thanksgiving lunch and dinner. In Future World, Coral Reef Restaurant in The Seas with Nemo & Friends is offering lunch and dinner feasts, and Sunshine Seasons is offering a special Thanksgiving menu throughout the day. The Italy Pavilion will also have special selections at Tutto Italia Ristorante and Via Napoli Ristorante e Pizzeria. In Magic Kingdom Park, Tony’s Town Square Restaurant is including Thanksgiving fare with their regular lunch and dinner options. 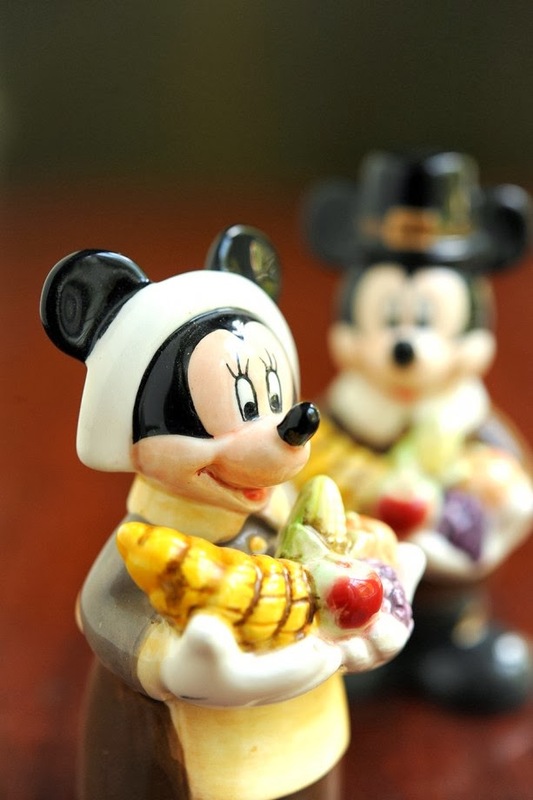 And, of course, Liberty Tree Tavern will have a traditional Thanksgiving offering! At Downtown Disney, Raglan Road will have a special Thanksgiving menu of Bunratty Mead glazed Turkey with butter whipped potatoes, apple, sage and sweet onion stuffing, braised Brussels sprouts, cranberry & plum chutney and traditional gravy for $27.95. This menu is available from 11 a.m. until 11 p.m. on November 28. Fulton’s Crab House, Portobello, and Wolfgang Puck Grand Café will also offer special prix fixe menus. Disney’s All-Star Resorts — Intermission Food Court and World Premiere Food Court (lunch and dinner). Disney’s Animal Kingdom Lodge — Jiko – The Cooking Place (dinner), Sanaa (lunch and dinner). Disney’s BoardWalk — Flying Fish Café, Kouzzina by Cat Cora (dinner). Disney’s Caribbean Beach Resort — Shutters at Old Port Royale (dinner). Disney’s Contemporary Resort — California Grill, Chef Mickey’s (Dinner); The Wave … of American Flavors (lunch and dinner). Disney’s Grand Floridian Resort — Cítricos has three seatings for dinner; Grand Floridian Café (lunch and dinner), Narcoossee’s (dinner). Disney’s Old Key West Resort — Olivia’s Café (lunch and dinner). Disney’s Polynesian Resort — ‘Ohana (Dinner), Kona Café (lunch and dinner). Disney’s Port Orleans Resort — Boatwright’s Dining Hall (dinner). Disney’s Saratoga Springs Resort & Spa — The Turf Club Bar and Grill (lunch and dinner). Disney’s Wilderness Lodge — Artist Point (dinner), Whispering Canyon Café (lunch and dinner). Disney’s Yacht and Beach Club Resorts — Cape May Café (dinner), Captain’s Grille (lunch and dinner), Yachtsman Steakhouse (dinner). For Christmas Day, there’s everything from Mickey’s Christmas Feast at Disney’s Fort Wilderness Resort to a prixe fixe at Flying Fish Cafe at Disney’s Boardwalk. At Epcot, Biergarten Restaurant at the Germany Pavilion will plus up the buffet with special holiday dishes, and Le Cellier Steakhouse is offering a special menu. At Disney’s Animal Kingdom, Tusker House Restaurant will have Christmas specials on the buffet. At Disney’s Hollywood Studios, Hollywood & Vine will have Christmas lunch and two dinner seatings with carved turkey breast, cornbread stuffing, root beer glazed butternut squash, spiced pumpkin mousse on the buffet. In Magic Kingdom Park, The Diamond Horseshoe in Frontierland will offer Christmas Day dinner, and Tangaroa Terrace and Tortuga Tavern will feature a special holiday dinner buffet. At Downtown Disney, Fulton’s Crab House and Portobello will have a holiday prix fixe offering. Disney’s Yacht & Beach Club Resorts – Cape May Café will be serving hand-carved smoked ham with winter pineapple chutney and turkey with stuffing. Captain’s Grille will offer a holiday buffet. Yachtsman Steakhouse will feature a special menu. Disney’s Contemporary Resort – The Wave … of American Flavors will offer a special menu. And Chef Mickey’s will offer a Christmas Day brunch. Disney’s Grand Floridian Resort and Spa – Cítricos will have two seatings at 5 and 7:30 p.m. as well as special Christmas Day seating in the private Chef’s Domain, offering a four-course menu. Disney’s Boardwalk – Flying Fish Cafe will feature a prixe fixe four-course menu. Disney’s Wilderness Lodge Resort – Whispering Canyon Café will offer an all-you-care-to-eat holiday dinner with turkey, ham, beef strip loin, stuffing, mashed potatoes, sweet potatoes, cornbread and cranberry sauce. Additional information and dining reservations can be made by visiting www.disneyworld.com/dine or calling 407-WDW-DINE (3463).